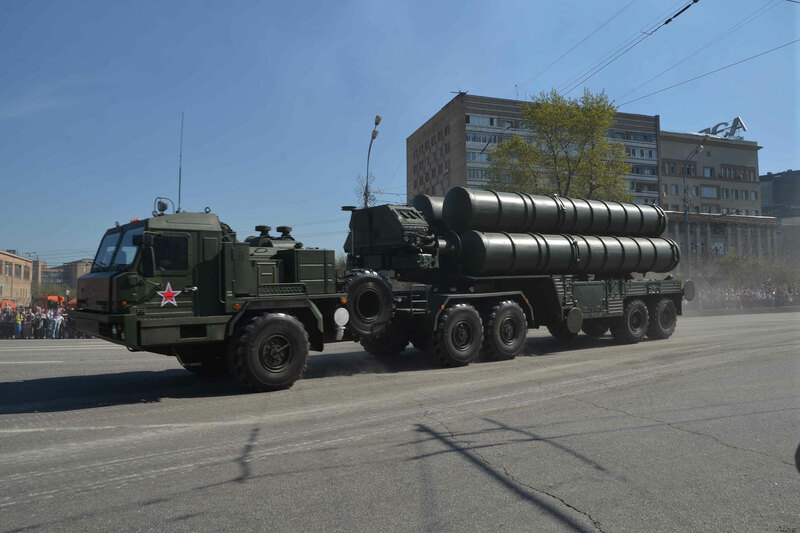 Rosoboronexport general director Anatoly Isaikin has confirmed that the long-mooted contract with China for the Almaz S-400 Triumph air defense missile system was signed in September last year. The organization will supply four divisions with Russia’s latest surface-to-air missile. “Many countries want to acquire the S-400, but we must first provide such advanced weaponry to our own armed forces,” Isaikin told Kommersant Daily. However, he added, China’s strategic relationship with Russia allowed it to become the first foreign customer. The S-400 system is designed to shoot down short- and medium-range ballistic missiles; strategic bombers and other large aircraft such as AEW and Sigint types at long range; tactical aircraft; and cruise missiles. It can also engage difficult aerodynamic targets as stealth aircraft, precision-guided missiles (PGMs) and UAVs. Typically, one firing set of the S-400 system includes a 91N6E surveillance radar; up to six 98Zh6E units each of 92N6E engagement radars and up to 12 launchers. The 30K6E control post can control a mixed grouping of S-400 and S-300PMU-1/2 systems, and, through a Ranzhir-M control vehicle, also the Thor, Pantsyr and Tunguska missile systems. Target data can be fed from external radar sources. The transporter-erector-launcher is an evolved design; it can carry either four canisters of 48N6E3 missiles with a range of 250 km or have any one of those replaced with a set of four smaller canisters containing 9M96E/E2 missiles. According to missile developer Fakel, the 9M96E/E2 has demonstrated a 70-percent direct hit probability against tactical ballistic missiles and PGMs. Against other targets, the circular error probability is within several meters, guaranteeing that the 24 kg dispersal warhead will achieve a kill. The Triumph can also employ the 40N6 missile, which has a range of up to 400 km. The first Russian air defense regiment re-armed with the Triumph in 2006 and the system passed state acceptance trials in April 2007. At that time, Russian air force commander Gen. Vladimir Mikhailov said he did not see the need to re-equip all 35 of the SAM regiments, since their existing systems (notably the S-300) had been upgraded. The S-400 would re-quip one or two regiments a year. Last month, the Russian MoD announced that servicemen from a newly re-equipped S-400 regiment deployed in the Far East had conducted missile launches in the Kapustin Yar firing range. “The servicemen succeeded in destroying drones that emulated a modern means of aerial attack,” the MoD said. Several regiments deployed in the Far East are scheduled to take delivery of new S-400s, replacing S-300s. Meanwhile, the sale by Russia of S-300 systems to Iran may soon go ahead. It was previously suspended in response to international pressure. President Putin could make an announcement during his planned visit to Tehran in August.